Nothing can be compared to the love a mother has for her children. Your love is incomparable, unconditional and inseparable. No matter where do you go or what should you do, at the end of the day You always find yourself finding solace of your Mother's advice. Happy Mother’s day! Check out our collection of inspiring, warmest, and the latest Mothers Day Quotes and Sayings Collection will surely make you inspire by www.boybanat.com for you and to share with. If you have your own favorite Mothers Day Quotes and Sayings even in Tagalog / Pinoy, we would love to hear it, simply add a comment below or just email it to us with a subject: mothers day, and will posted up for you. Hope you'll like it! I feel so safe in this world because I already know that no matter what, you will always be there for me to watch my back and pick me up whenever I fall. Mommy you are the best! I love you so much. If there’s one person in this world who can love us unconditionally, care for us without limits and make us smile effortlessly, it is you dear mother. I wish you a lifetime of happiness. I love you. Happy Mother’s day. No other present in the world can be more special and beautiful than the gift of a mother. I am so so glad to have you. Happy Mother’s day. Have an awesome day! May God bless. I just want you to know how special and fortunate I find myself to be blessed with a mother as loving, caring and wonderful as you. 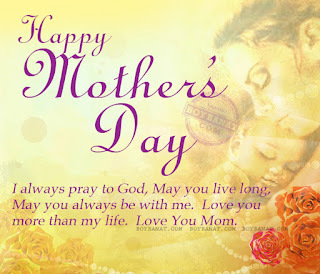 Happy Mother’s day to you dearest Mom!